Clues Dead End As in the Movie-National Treasure. 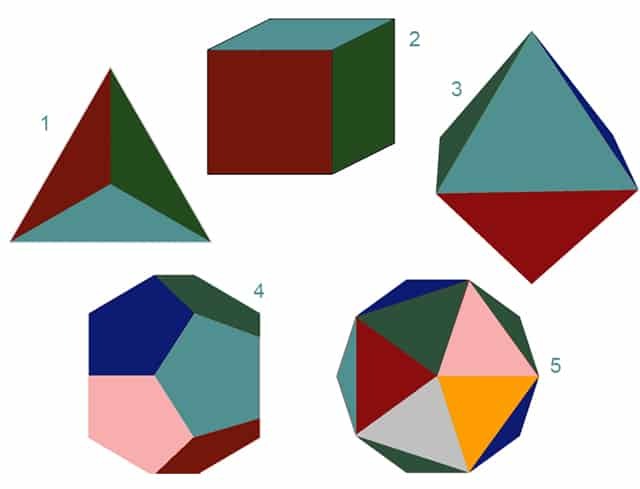 For 15 years I thought the prototype of the cosmos was the 5 Platonic solids. They provided so many answers. Then, after following a path, it dead ended. An example was my excitement over discovery of ancient cycles of time. Ancients used astrological ages. An age is a time period in which astrologers claim a primary line of thought runs with people. This realtes relating to culture, society, and politics. There are twelve astrological ages corresponding to the twelve zodiacal signs in western astrology. 2,160 years equals one astrological age. Another, how there are 1440 minutes in a 24 hour time frame. Another, is the Babylonian’s measure of time called a shar. It equaled 3600 years. The Sumerians defined a “load” by this figure. What are the Platonic Solid Parallels to the Above? Ben Gates comes from a family of treasure hunters. Now his grandfather believes that the forefathers’ buried a treasure somewhere in the country and have placed clues everywhere but unfortunately the clues are highly cryptic and scaterred all over the place. As per the chart above: A cube totals 2160°. In the movie, Ben Gates comes from a family of treasure hunters. Now his grandfather believes that the forefathers buried a treasure. It is somewhere in the country. Clues are everywhere. But, unfortunately, they are highly cryptic and scattered all over the place.